On Day 8 of the Recipes Project, we revisited some themes that had popped up on previous days of our virtual conversation. There were reconstructions, along with discussions of the ‘art’ of a good recipe. 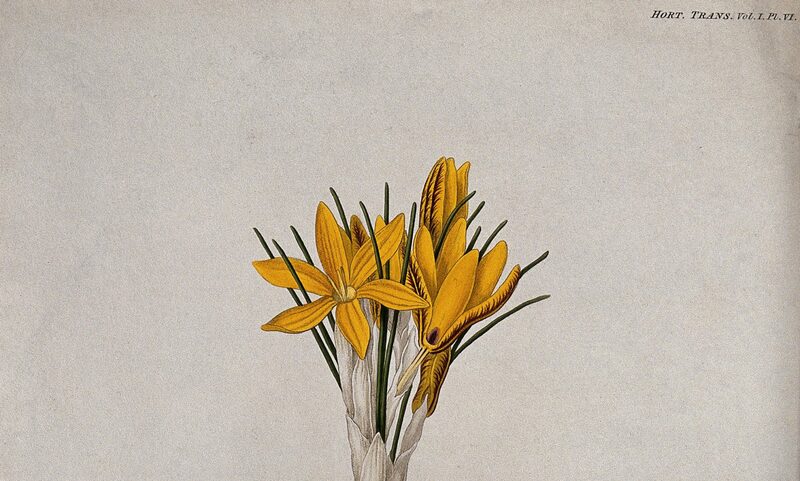 And, of course, we came back to the connections between recipes and family history, and the many forms of recipes that appear in our daily lives. To start with the reconstructions, Maria Galanaki shared her video on constructing a meal that follows the Hippocratic Regimen. Simon Walker continued his “Feeding under Fire” series with a video on Classic French Soldiers’ Food and a twitter thread on the subject. There really was no end to the bready delights available yesterday (though specifically absent in Maria’s Hippocratic menu!). We had @Pamphilia2‘s video on gingerbread recipes, Deborah Lawton writing on gingerbread in historical re-enactment, and Molly-Taylor Polesky’s interview with a master baker. A lot of the activity of the day was focused around Twitter, with conversations surrounding family medicine recipes. We had chicken soup, hot toddies, mustard plasters, “The Remedy”, onion compresses, honey and salt water, honey-onion syrup, lemons, and Schmaltzwickel… All old family recipes, bringing together themes of family, memory, and personal links to recipes that has permeated this project. Then I took over the Twitter feed for a few hours to indulge a personal project and explore the subject of fictional foods and recipes. A few suggestions of my own started us off on a journey through Studio Ghibli’s “Spirited Away” to Disney’s “Sleeping Beauty” and then it took on a life of its own. 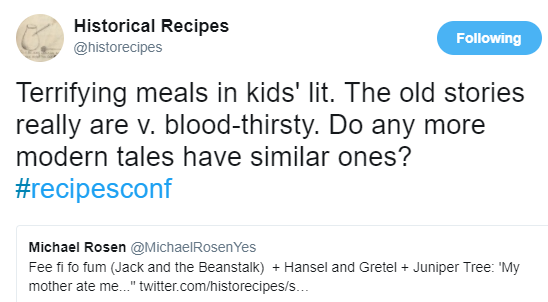 Our wonderful contributors pitched in their own literary recipes, with a number from fairy tales and books from their childhood; we had an overflowing porridge pot, Little Red Riding hood’s picnic, the darker sides of Beatrix Potter, Narnian Turkish Delight, and the wonderful stories of Roald Dahl. Participants came together around common themes, all falling under the topic “recipes”. We all have recipes that hold personal meanings, whether from tradition or memories associated with them. Recipes are just another way that family history is kept alive– like quilts, cookbooks, or photograph albums. 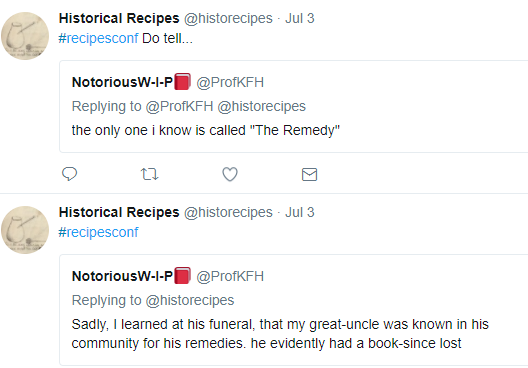 This is also the case with the Winslow family in the bread posts today, and with the use of recipes as a wider historical teaching, such as the gingerbread reconstructions. Similarly, the focus on fictional recipes explored the meanings food and recipes hold in both narrative and real life. 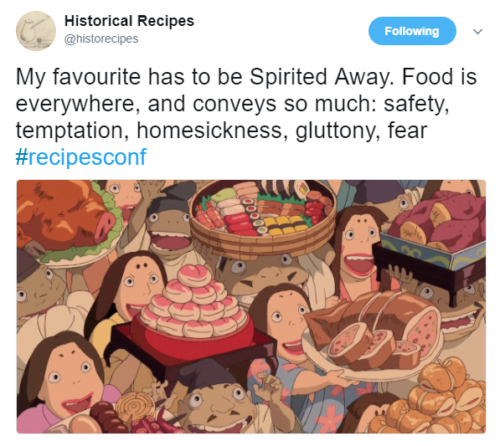 Many of the recipes contributed dealt with fairy tales and children’s literature, showing how people can be shaped by what they encounter as a child. For me, the most vivid fictional recipe that sticks in my mind is the hideous roly-poly from Tom Kitten that Michael Rosen reminded me of during the discussion. If there’s anything that the virtual conversation on ‘What is a Recipe?’ has shown us this last month, it’s that while they may not always be historical, recipes connect people in a multitude of ways. Previous PostPrevious Day 8: What is a Recipe?